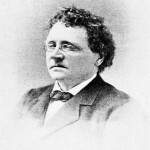 Francis James Child was Boylston professor of rhetoric and oratory at Harvard University, where he produced influential editions of English poetry. In 1876 he was named Harvard's first Professor of English, a position which allowed him to focus on academic research. It was during this time that he began work on the Child Ballads.